We are delighted to announce that Dr. Tricia Tang has been appointed as the new Director of Experimental Medicine Program effective June 1, 2018. Dr. Tang has been an Associate Professor in the Division of Endocrinology and Metabolism since 2011. She has been the Research Director of the Endocrinology Fellowship Program since 2013. She is currently a primary supervisor of several students in the Experimental Medicine Program. Before joining UBC, Dr. Tang was an Associate Professor in the University of Michigan and was the Director of the Sociocultural Medicine Program from 2000 to 2011. 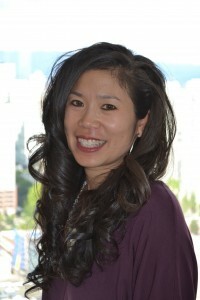 Dr. Tang holds a Ph.D. in Clinical Psychology, with post-doctoral fellowship in Biobehavioural Breast Cancer Research. She is internationally recognized for her work in health promotion and disease prevention in medically underserved communities. Her research focuses on investigating low-cost and sustainable models for preventing the development of and complications from type 2 diabetes in high-risk and medically underserved populations. Over the past 10 years, she has focused on developing, implementing, and evaluating peer support interventions for improving long-term diabetes related health outcomes. She has created the PLEASED program which is an extensive training manual for peer leaders in chronic diabetes management. This was endorsed by the International Diabetes Federation. Dr. Tang received the Division of Endocrinology Outstanding Research Mentor Award in 2015. Dr. Tang is known to be a talented scientist, a passionate educator and mentor, and an effective administrator and leader. We have no doubt that Dr. Tang will take the Experimental Medicine Program to a new level of excellence! Please join us in welcoming and supporting Dr. Tang in her new role! At this time, we would also like to express our heartfelt thanks to Dr. Vincent Duronio, who is stepping down as the Interim Director of the Experimental Medicine Program, for his outstanding contributions and dedication.